Team Journeys to Adäka on the carpet at the Available Light Film Festival. 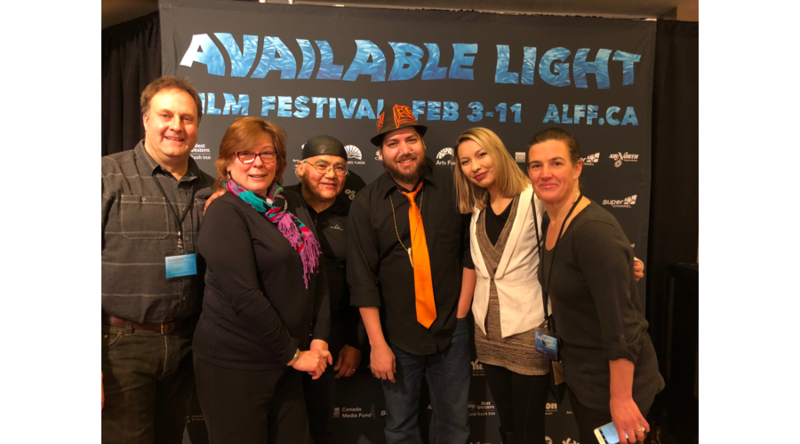 From left: director Fritz Mueller, Cherri and Wayne Price, Gary and Felisha Johnson, producer Teresa Earle, and missing our road warrior Diyet Van Lieshout who had to dash because they travelled from Burwash Landing to be at the screening and had to get home that night. So dedicated to sharing their stories. This film just scratches the surface of the commitment and sacrifice of the artists and cultural leaders in our community.